Singer-Songwriter, Heather Whitney comes from Southeast Texas. Her latest single, “What Part of Life,” written by Heather and produced by Buddy Hyatt. It reached the New Music Weekly, Airplay Today and IndieWorld country charts, as was among the most-downloaded tracks of 2018, according to CD Tex, a radio distribution site. Heather has an amazing voice and she is an awesome performer as well. If you enjoy country music, then you will love her. Her album “Moving On” was honest and raw at heart, luscious yet edgy in sound, and had something for every mood. That honesty was sure to connect with fans on a deeper level. Now she is back with her latest single, and her winning formula hasn’t changed. 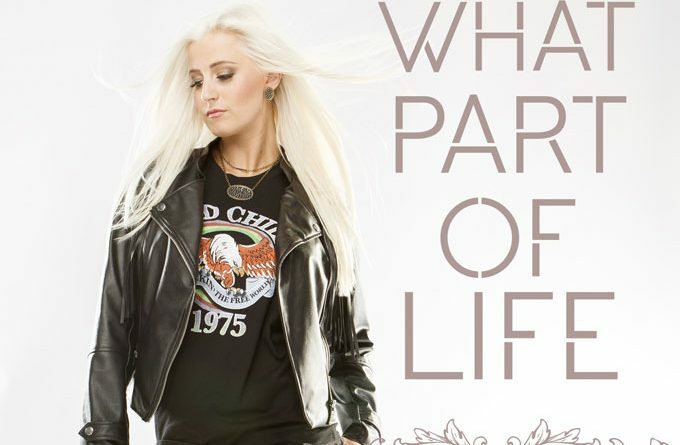 Whitney brings empowerment with her strong country flair on “What Part of Life”. It’s about moving forward, defeating your hardships and struggles and never losing your identity. It showcases Whitney’s stunning vocals and songwriting skills. It’s a confident and sassy song that injects a powerful feeling which is quite important to embrace. The track is just structured so well and really details the process of staying on your feet in times of trouble, realizing your worth, reminiscing and allowing yourself to start all over again if you ever fall. It’s the kind of message that Whitney’s fans will be able to relate to. Heather Whitney’s vocals are strong and powerful at times and then they can be so raw and vulnerable too. It’s a roller-coaster of emotions but it’s also very empowering. It’s an impressive track that shows her continued growth as an artist and perceives her reaching towards those arenas that she deserves to be headlining. The production of this song also lives up to the fiery lyrics and vocals. It’s an interesting time in country music. While female artists have had a frustratingly hard time breaking through with hits on a consistent basis, Whitney wrote a series of potential hit material on her album, and continues with another catchy tune here. Here’s hoping country radio doesn’t decide to bypass “What Part of Life”, as it wouldn’t be a wise decision. This track deserves the most praise and press it can garner. The track positions her for the next stage of success and should easily match the impressive success she achieved with her album. In essence, “What Part of Life” is a powerful track that fans will appreciate and showcases all that we have come to expect from Heather Whitney: heartfelt vocals, powerful lyrics, and fearless individuality in the country music genre. Her writing credit and emotional performance make it clear not only that this comes from a real place, but also that Whitney knows how to connect when it counts. With the right single releases and plenty of promotion, Heather Whitney could be heading straight to the next level!